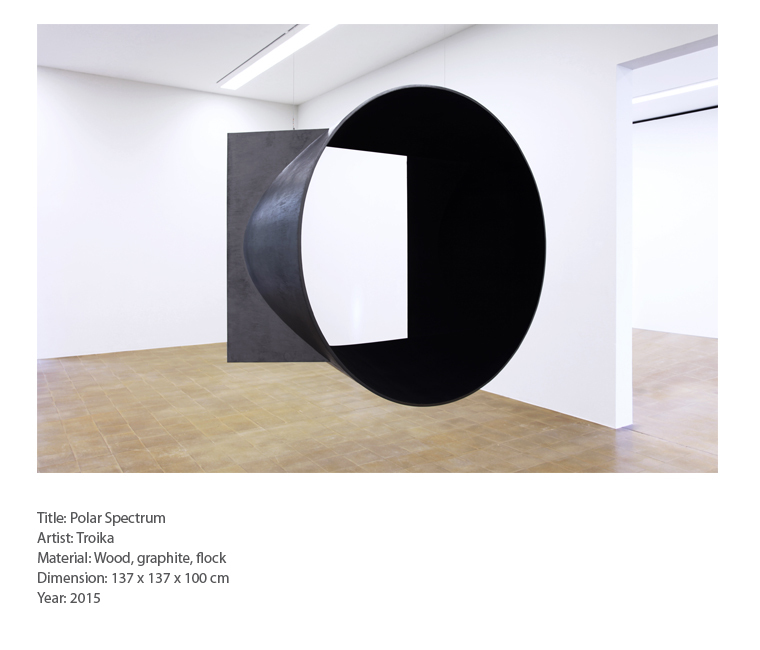 With a particular interest in perception and spatial experience, their collective works challenge our prescriptions of knowledge, control, and what it means to be human in an age of technology. 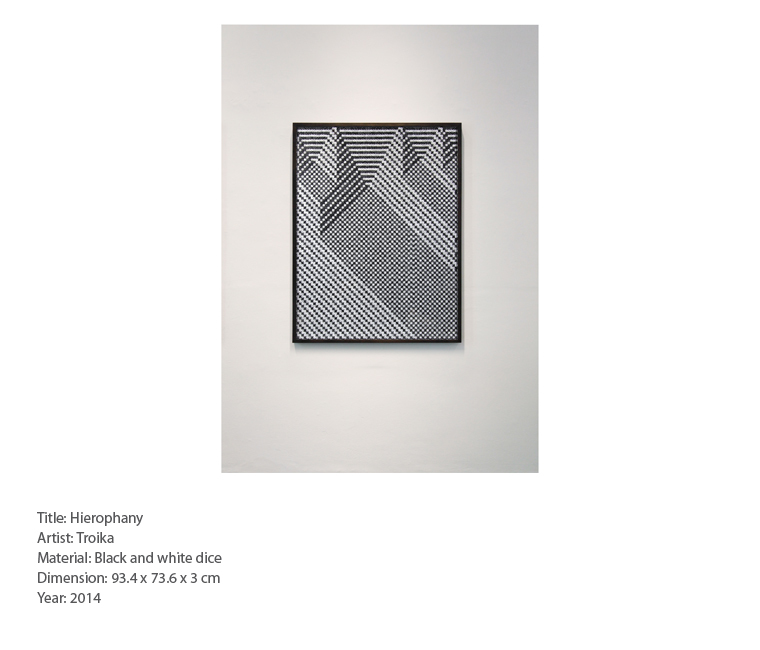 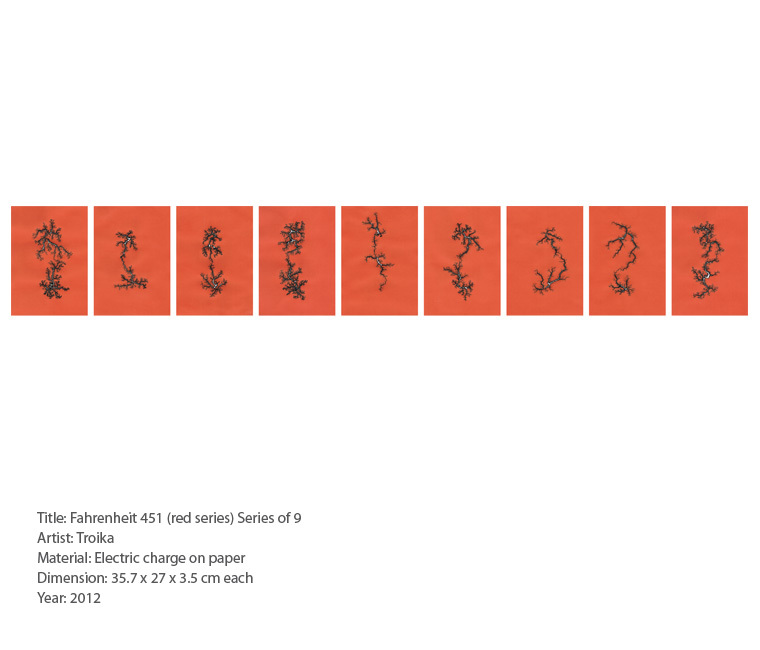 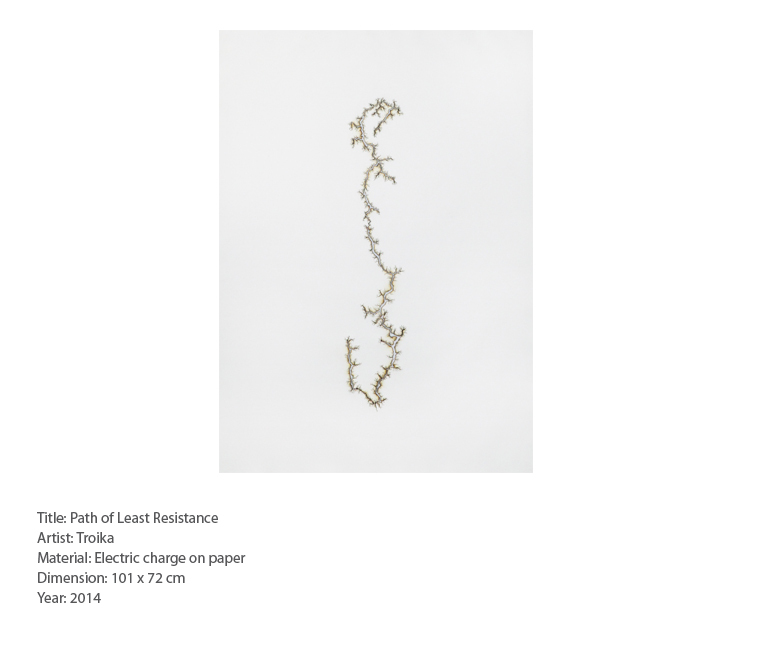 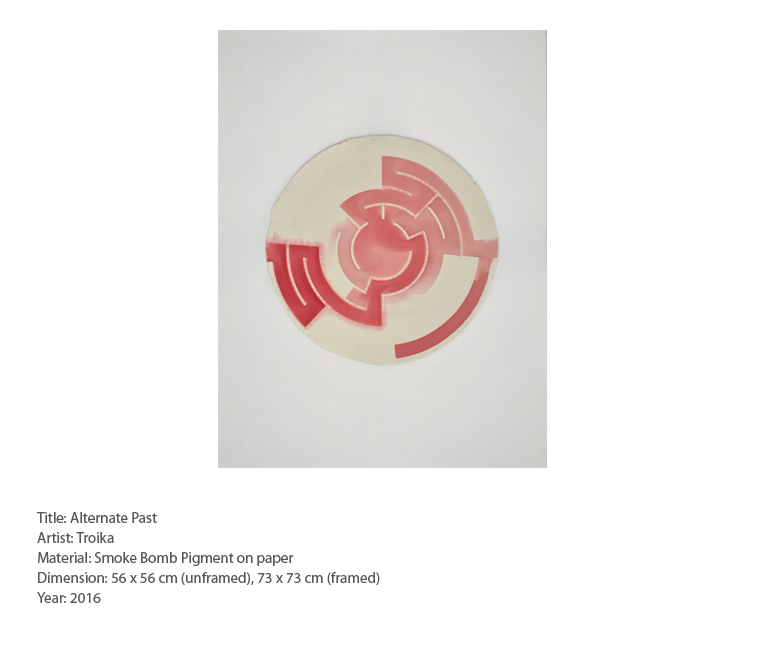 Troika’s work is part of the permanent collections of M+, Hong Kong, the Victoria & Albert Museum London, The Art Institute of Chicago, MoMA New York, Jumex Collection Mexico, and the Israel Museum. 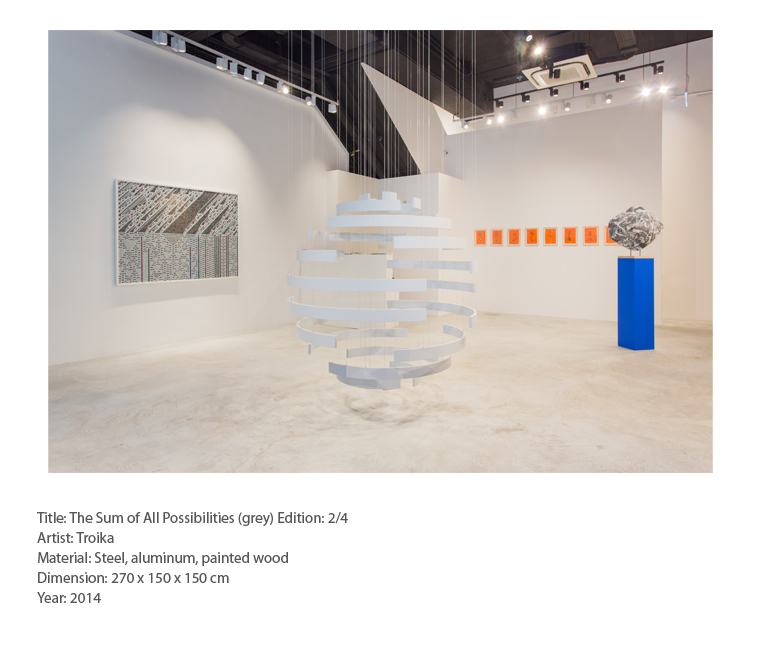 In 2010, Troika was commissioned by the Foreign and Commonwealth Office to produce three site-specific installations for the UK Pavilion, designed by Heatherwick Studio, at the Shanghai Expo. 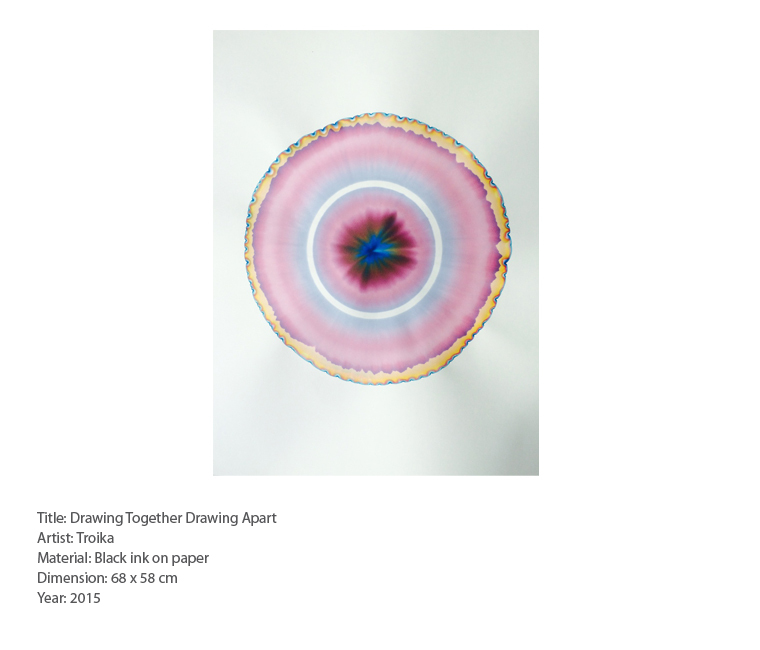 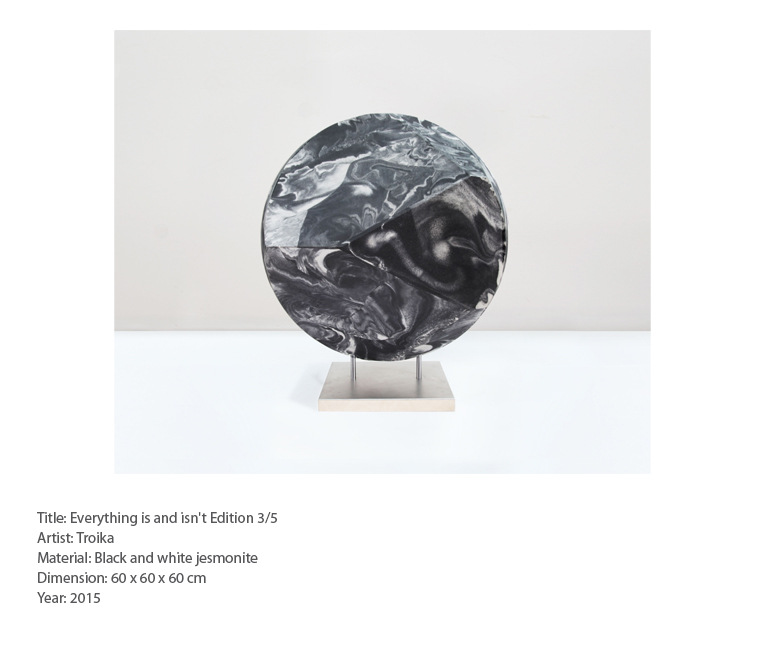 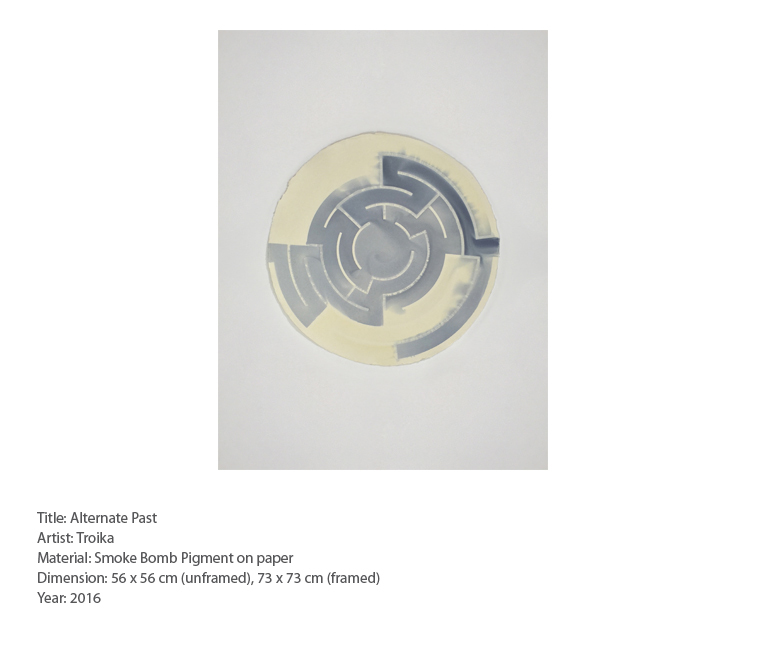 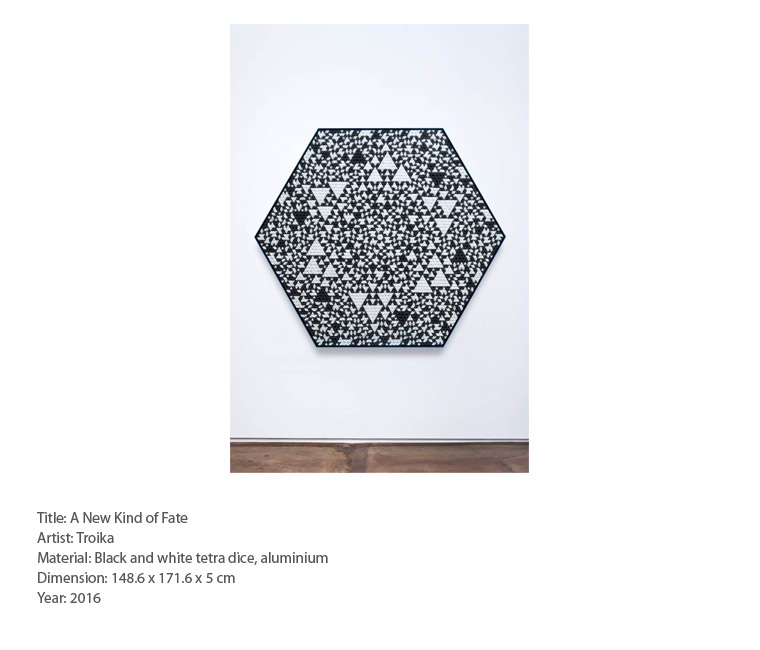 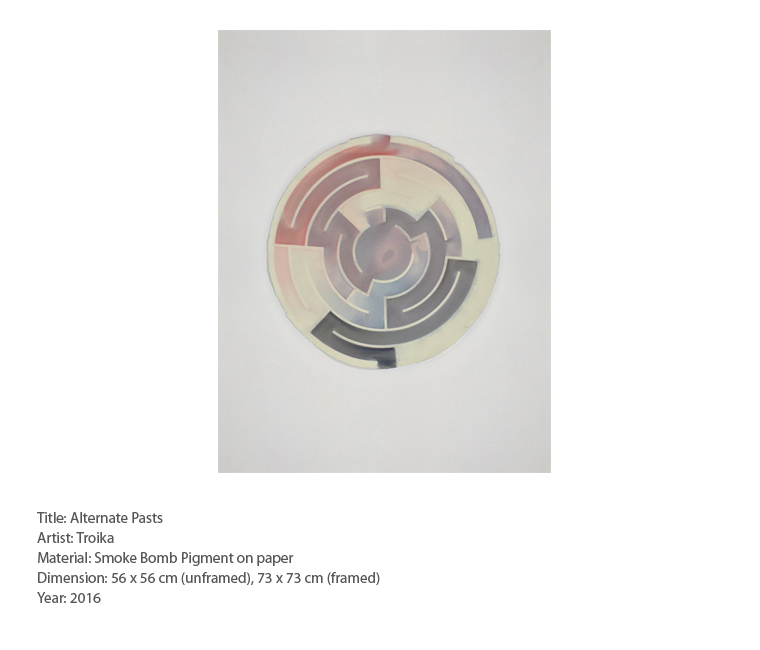 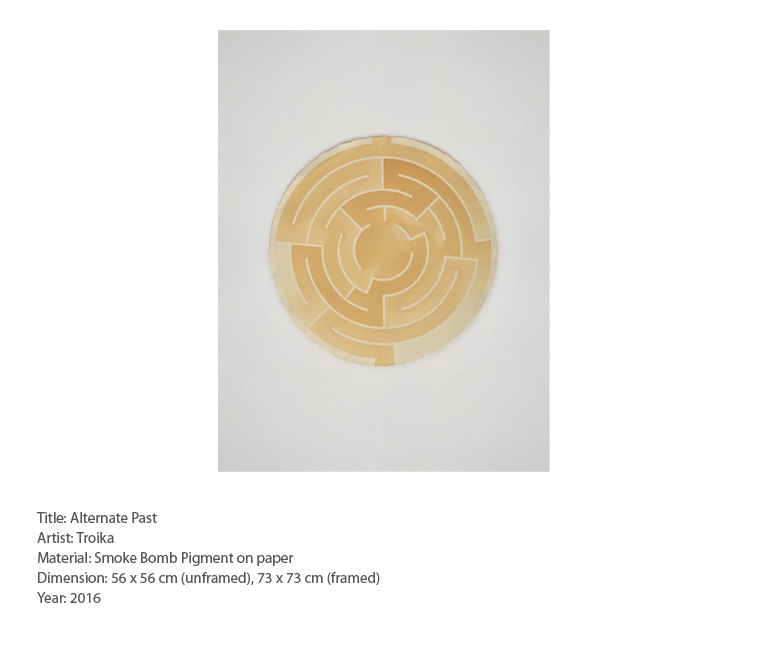 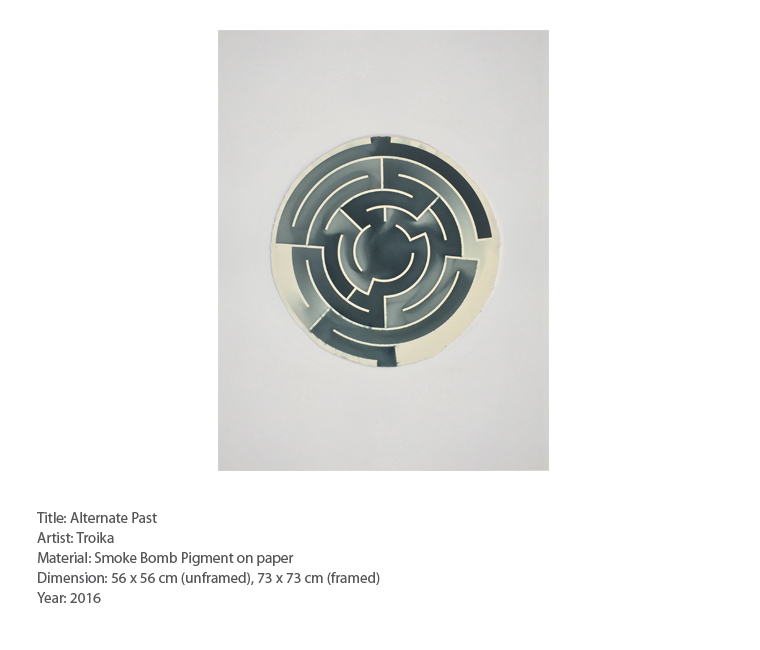 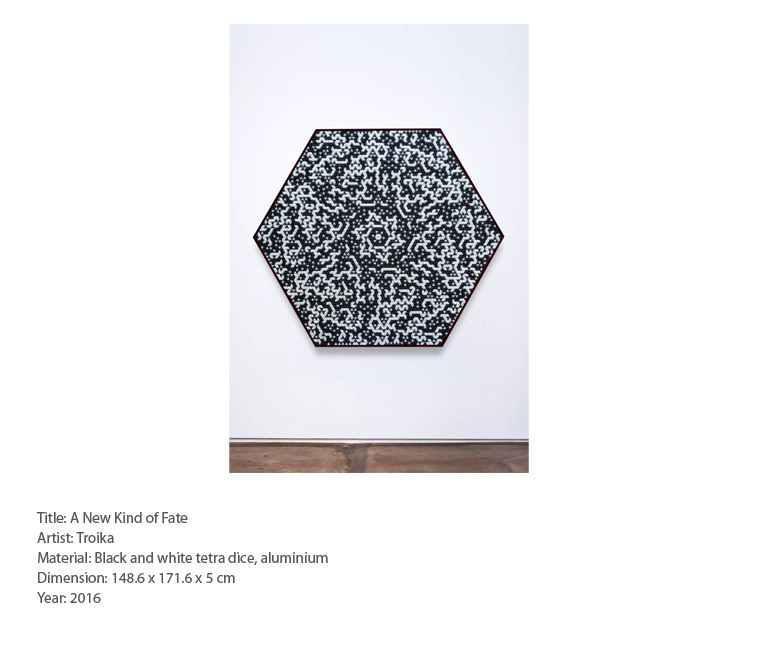 In 2014 Troika was selected to present their work ‘Dark Matter’ at Unlimited, Art Basel.